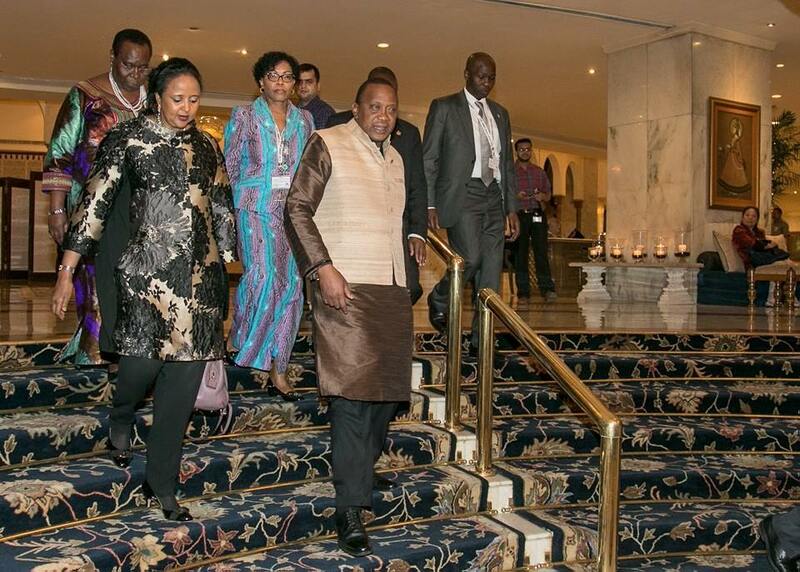 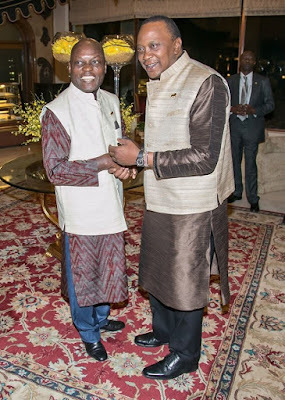 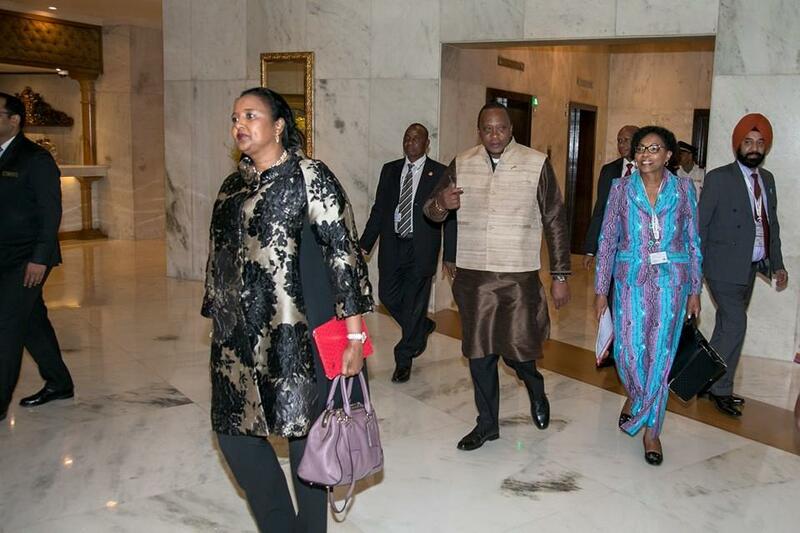 President Uhuru Kenyatta travelled to india on na official visit where he is expected to hold some talks with the country leaders on affordable HIV and cancer treatment among other issues. 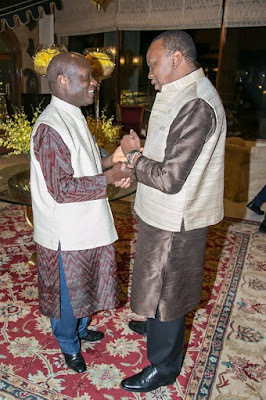 But as usual, the prezzo couldn't leave the country without some Indian swag, he decided to dress in the traditional Indian attire as he met some Kenyan leaders living there. 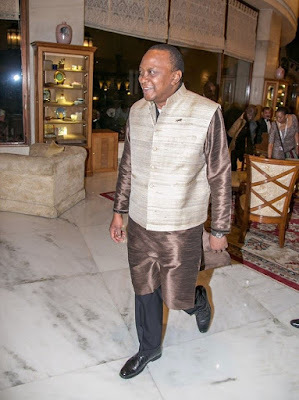 Whe the statehouse posted the photos, as usual Kenyans started a thread on the comment section, some saying he looked nice but some didnd like it, what do you think?